Orezi Visits Home In Preparation Of The Orezi Experience. As an artiste, Nigerian musician Esegine Allen better known by his stage name Orezi, has always set himself apart by adding his own local twist to his releases. On Thursday, October 4th 2018 the talented artiste visited His Royal Majesty Anthony William Onovughe Ovrawah, (JP) FCAI, Omogha I, the Odio-Ologbo of Oleh Kingdom, and took welfare aids to one of the IDP camps at Ozoro. It’s very admirable that Orezi stays connected to his hometown, and has shown a commitment to its development. It is in this same vein that the artiste is taking his next concert back home to Warri, something not a lot of artistes at his level do. Much to the delight of Orezi’s fans and ‘The Orezi Experience’ will hold at Ozoro Stadium before the year ends and promises to be an unforgettable experience. 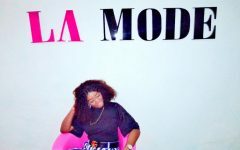 LA MODE EXCLUSIVE WITH ADETUTU OSUNDINA CEO ADOLS HAIR!